Do you have one or more missing teeth? Take the next step, eat the foods you love, and smile with confidence! Using the most recent advances in dental implant technology, Dr. Barbick, Dr. Bedi, Dr. Hamilton, Dr. Sybo and Dr. Watts are able to place single stage implants. These implants do not require a second procedure to uncover them, but do require a minimum of six weeks of healing time before artificial teeth are placed. There are even situations where the implant can be placed at the same time as the tooth extraction – further minimizing your number of surgical procedures. Dental implant placement is a team effort between an oral and maxillofacial surgeon and a restorative dentist. Drs. Barbick, Bedi, Hamilton, Sybo or Watts performs the actual implant surgery, initial tooth extractions, and bone grafting if necessary. The restorative dentist (your dentist) fits and makes the permanent prosthesis. Your dentist will also make any temporary prosthesis needed during the implant process. 5 out of 5 stars based on 21 Dental Implants reviews. I can not say enough good things about Dr.Andrew Langston. My situation was that I needed to have a difficult procedure done of removing two, 30 year old, dental implants. I had seen another surgeon first, who did not want to do the procedure because of the great risk of breaking my jaw. I was scared when I first met Dr. Langston, but on my first visit he took an hour with me and explained the procedure, showed me the tools he would use and the risks involved. However, he was confident that he could do it so I trusted him and scheduled my surgery for a week later. The procedure took over two hours and he got the old implants out and did not break my jaw! 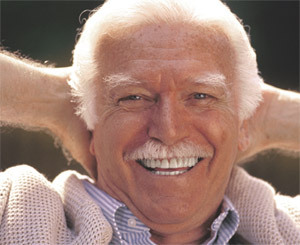 I could also put my lower denture back in. I did not have much swelling or bleeding and very little bruising! I am so thankful that I trusted him as he did an excellent job! I would highly recommend him to anyone who needs to have oral surgery done. He is a very gifted surgeon with a calming personality. His office staff was extremely friendly and welcoming too! Thank you Dr. Andrew Langston!!! Dr. Langston is Absolutely great! Spent almost and half and hour explaining everything. Very caring. Dr. Langston was fantastic. No pain and made sure I was comfortable the entire time. The entire staff does a great job at accommodating their patients. High recommend. Dr. Langston and his assistant Amanda were excellent. Nice experience for such a big job. Overall very nice visit. My thanks for everything. Professional and efficient procedure. Explained each step as it e Was happening. Very satisfied. Dr Barbick and his assistants made this as easy as possible. Great job all around great service, procedure was incredible smooth. And wisdom teeth removal. Doctor and his staff are AWESOME. Very professional and extremely caring. So happy I found them. Dr. Langston and his entire staff were great! AMAZING!! Dr. Langston and his staff are so nice! Very professional and courteous. Pleasant staff! Dr. Langston explained the procedure completely! GREAT service! I am a terrified patient,and I can truly say that the staff and Dr B are the most reassuring and skilled professionals I have ever trusted. I am pleased with the results of my surgery and follow ups and actually look forward to seeing everyone on my next visit. It is a fact: I would not go anywhere else for oral surgery. Dr Barbick and staff are the best! Dr. Michael Burbick is absolutely the best. He has a very confident, friendly and honest manner. The procedure itself was easy - no pain. His resume speaks volumes about his knowledge and experience. The office staff was friendly and helpful. If you need an extraction or implant, do not waste your time shopping around - just make an appointment with Dr. Michael Burbick. Thanks again to Dr. Burbick and Debbie for making a potentially stressful experience as easy as a walk in the park! Excellent service and treatment by Dr Bedi and the staff. My comfort and needs were the priority. The procedure was painless and aftercare has been wonderful. I will be back.